RV overnight parking available by reservation. We are dog friendly, offering free internet and comfortable, suburban location. Come by to share a new experience and stay to enjoy a glass or two in the arbor. 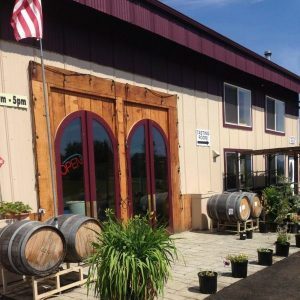 HV Cellars is a traditional winery promoting the total wine experience without the pretense or stuffiness that intimidates many. We feature wines produced on site from select local vineyards. HV Cellars offers good, high quality wine at very reasonable prices. Award winning varietals sourced from the best local vineyards. We have wines for every pallet including beer lovers.